US global private equity firm Lone Star, has acquired Garvecat, the company responsible for developing the Vilamoura resort, with the intention of reviving and promoting the destination in the heart of the Algarve. 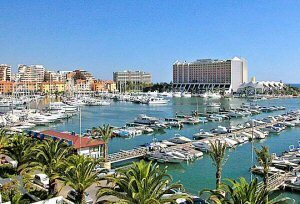 Vilamoura is a resort town which includes the emblematic marina and golf courses, and because of its status as a resort, it is run by a management company responsible for the destination as a whole. Since 2004 Lusort, part of the Garvecat group which has now been sold to Lone Star, have been running Vilamoura, and the sale will now mean that it will pass over to new management with potential changes to all those living in and running businesses there. The resort covers over 2,000 hectares and includes the 825 berth marina but it is perhaps the more than 700 million square metres of buildable land that have attracted Lone Star to the area, as this offers the construction potential for more than 5,000 properties within close proximity to both the five anchor marina and the beach. Lone Star has plans to “strengthen and revive” the resort through the implementation of a long-term investment plan. Lone Star has a history of spotting potential successes that many will be hoping can be replicated in Vilamoura.